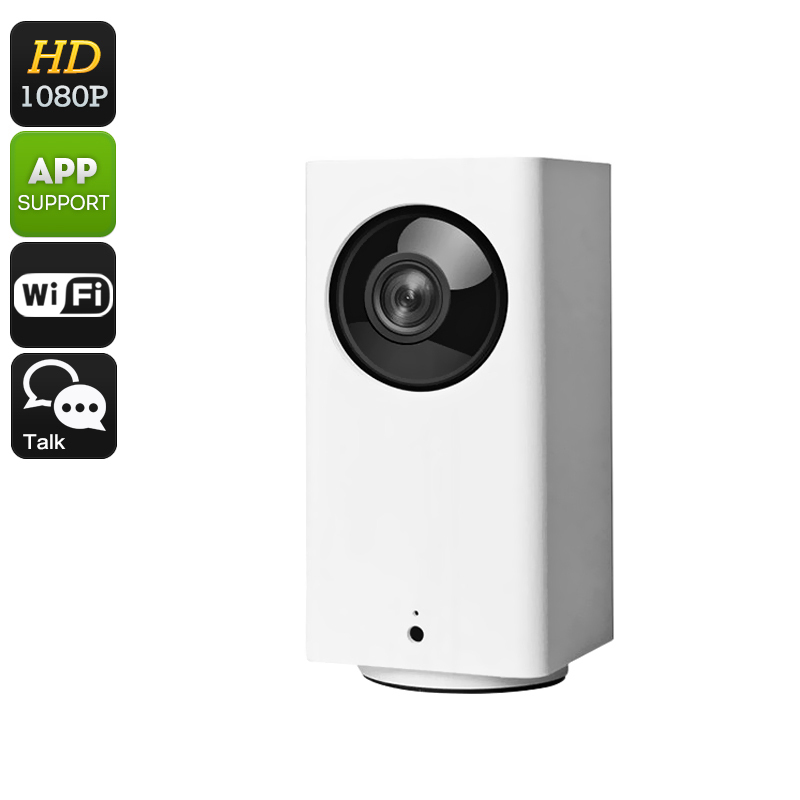 Successfully Added Xiaomi Dafang Smart 1080p WiFi Camera - Full-HD, Night Vision, PTZ Support, Dual-Way Audio, App Support, SD Card Recording to your Shopping Cart. With the Xiaomi Dafang Smart 1080p WiFi Camera at your side, nobody will ever again enter your property unseen. This compact indoor IP camera will significantly increase the security level of your property. With its WiFi connectivity, your security camera is easy to install and use. It features a compact and lightweight design, allowing you to place it virtually anywhere. Once in place, you’ll be able to access your camera at any time via the dedicated mobile application. Thanks to this, you’ll always be up to date on your property’s current security status even when you’re not around. This Xiaomi WiFi camera treats you to stunning 1080p Full-HD visuals. These FHD recordings feature crisp detail, making it easy to recognize a possible intruder. Your IP camera supports SD card recording and allows you to watch back previously shot footage at any given moment via the App. The camera itself comes with 6 IR LEDs that support a 9m night vision view. Therefore, you can be guaranteed that this camera keeps your property protected at both day and night. A built-in microphone and speaker allow 2-way communications. This lets you talk to visitors or possible intruders without actually needing to be on site. With a 120-degree lens, this WiFi IP camera treats you to a wide viewing angle. The security camera furthermore supports PTZ and can be rotated 360-degrees horizontally and 93-degrees vertically. Thanks to this, you can be guaranteed that not a single corner of your room is outside of reach for this indoor IP camera. Whether you use it at home or the office, the Xiaomi Dafang Smart 1080p WiFi Camera is sure to meet your security needs. The Xiaomi Dafang Smart 1080p WiFi Camera comes with a 12 months warranty, brought to you by the leader in electronic devices as well as wholesale indoor security cameras..